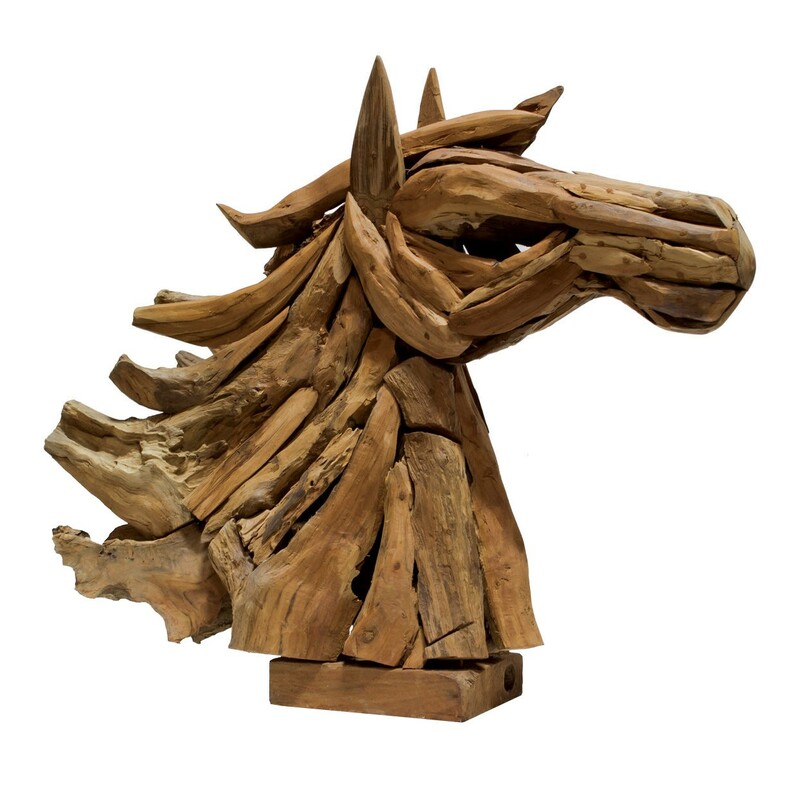 Plantation teak wood frame hand-carved into a rustic horse head decor. Color, grain and size will vary. Knot holes, cracks, and other natural occurrences should be expected and are not considered a defect. Wood may continue to crack over time. No two pieces will be alike.